Q. — The theory that the universe is false seems to be understood in the following senses: (a) the sense in which the duration of perishing forms and names is infinitesimally small with reference to eternity; (b) the sense in which the period between any two Pralayas (involution of the universe) is infinitesimally small with reference to eternity; (c) the sense in which the universe is ultimately false though it has an apparent reality at present, depending upon one sort of consciousness, in the same way as the idea of silver superimposed on a shell or that of a serpent on a rope, is true for the time being, and, in effect, is dependent upon a particular condition of mind; (d) the sense in which the universe is a phantom just like the son of a barren woman or like the horns of a hare. In which of these senses is the theory understood in the Advaita philosophy? A. — There are many classes of Advaitists and each has understood the theory in one or the other sense. Shankara taught the theory in the sense (c), and it is his teaching that the universe, as it appears, is real for all purposes for every one in his present consciousness, but it vanishes when the consciousness assumes a higher form. You see the trunk of a tree standing before you, and you mistake it for a ghost. The idea of a ghost is for the time being real, for it works on your mind and produces the same result upon it as if it were a ghost. As soon as you discover it to be a stump, the idea of the ghost disappears. The idea of a stump and that of the ghost cannot co-exist, and when one is present, the other is absent. Q. — Is not the sense (d) also adopted in some of the writings of Shankara? A. — No. Some other men who, by mistake, carried Shankara's notion to an extreme have adopted the sense (d) in their writing. The senses (a) and (b) are peculiar to the writings of some other classes of Advaita philosophers but never received Shankara's sanction. Q. — What is the cause of the apparent reality? A. — What is the cause of your mistaking a stump for a ghost? The universe is the same, in fact, but it is your mind that creates various conditions for it. Q. — What is the true meaning of the statement that the Vedas are beginningless and eternal? Does it refer to the Vedic utterances or the statements contained in the Vedas? If it refers to the truth involved in such statements, are not the sciences, such as Logic, Geometry, Chemistry, etc., equally beginningless and eternal, for they contain an everlasting truth? A. — There was a time when the Vedas themselves were considered eternal in the sense in which the divine truths contained therein were changeless and permanent and were only revealed to man. At a subsequent time, it appears that the utterance of the Vedic hymns with the knowledge of its meaning was important, and it was held that the hymns themselves must have had a divine origin. At a still later period the meaning of the hymns showed that many of them could not be of divine origin, because they inculcated upon mankind performance of various unholy acts, such as torturing animals, and we can also find many ridiculous stories in the Vedas. The correct meaning of the statement "The Vedas are beginningless and eternal" is that the law or truth revealed by them to man is permanent and changeless. Logic, Geometry, Chemistry, etc., reveal also a law or truth which is permanent and changeless, and in that sense they are also beginningless and eternal. But no truth or law is absent from the Vedas, and I ask any one of you to point out to me any truth which is not treated of in them. Q. — What is the notion of Mukti, according to the Advaita philosophy, or in other words, is it a conscious state? Is there any difference between the Mukti of the Advaitism and the Buddhistic Nirvâna? A. — There is a consciousness in Mukti, which we call superconsciousness. It differs from your present consciousness. It is illogical to say that there is no consciousness in Mukti. The consciousness is of three sorts — the dull, mediocre, and intense — as is the case of light. When vibration is intense, the brilliancy is so very powerful as to dazzle the sight itself and in effect is as ineffectual as the dullest of lights. The Buddhistic Nirvana must have the same degree of consciousness whatever the Buddhists may say. Our definition of Mukti is affirmative in its nature, while the Buddhistic Nirvana has a negative definition. Q. — Why should the unconditioned Brahman choose to assume a condition for the purpose of manifestation of the world's creation? A. — The question itself is most illogical. Brahman is Avângmanasogocharam, meaning that which is incapable of being grasped by word and mind. Whatever lies beyond the region of space, time and causation cannot be conceived by the human mind, and the function of logic and enquiry lies only within the region of space, time, and causation. While that is so, it is a vain attempt to question about what lies beyond the possibilities of human conception. Q. — Here and there attempts are made to import into the Purânas hidden ideas which are said to have been allegorically represented. Sometimes it is said that the Puranas need not contain any historical truth, but are mere representations of the highest ideals illustrated with fictitious characters. Take for instance, Vishnupurâna, Râmâyana, or Bhârata. Do they contain historical veracity or are they mere allegorical representations of metaphysical truths, or are they representations of the highest ideals for the conduct of humanity, or are they mere epic poems such as those of Homer? A. — Some historical truth is the nucleus of every Purana. The object of the Puranas is to teach mankind the sublime truth in various forms; and even if they do not contain any historical truth, they form a great authority for us in respect of the highest truth which they inculcate. Take the Râmâyana, for illustration, and for viewing it as an authority on building character, it is not even necessary that one like Rama should have ever lived. The sublimity of the law propounded by Ramayana or Bharata does not depend upon the truth of any personality like Rama or Krishna, and one can even hold that such personages never lived, and at the same time take those writings as high authorities in respect of the grand ideas which they place before mankind. Our philosophy does not depend upon any personality for its truth. Thus Krishna did not teach anything new or original to the world, nor does Ramayana profess anything which is not contained in the Scriptures. 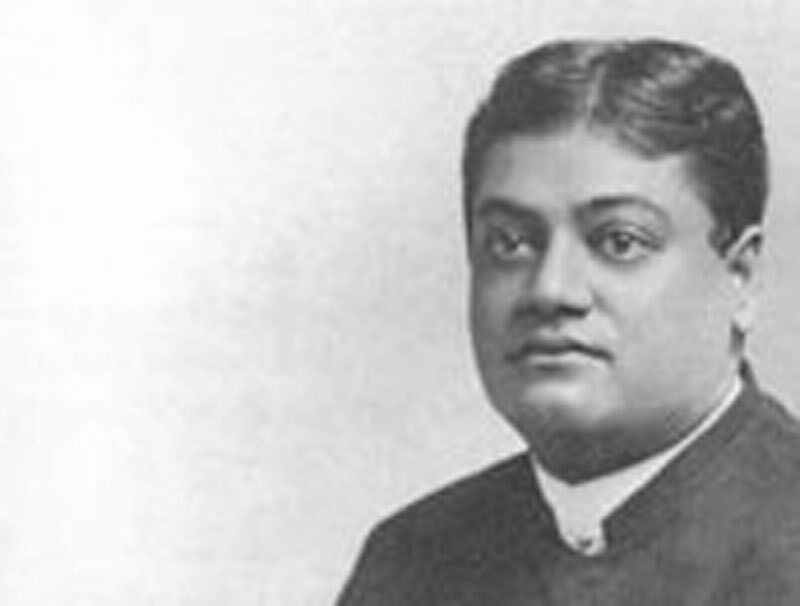 It is to be noted that Christianity cannot stand without Christ, Mohammedanism without Mohammed, and Buddhism without Buddha, but Hinduism stands independent of any man, and for the purpose of estimating the philosophical truth contained in any Purana, we need not consider the question whether the personages treated of therein were really material men or were fictitious characters. The object of the Puranas was the education of mankind, and the sages who constructed them contrived to find some historical personages and to superimpose upon them all the best or worst qualities just as they wanted to, and laid down the rules of morals for the conduct of mankind. Is it necessary that a demon with ten heads (Dashamukha) should have actually lived as stated in the Ramayana? It is the representation of some truth which deserves to be studied, apart from the question whether Dashamukha was a real or fictitious character. You can now depict Krishna in a still more attractive manner, and the description depends upon the sublimity of your ideal, but there stands the grand philosophy contained in the Puranas. Q. — Is it possible for a man, if he were an adept, to remember the events connected with his past incarnations? The physiological brain, which he owned in his previous incarnation, and in which the impressions of his experience were stored, is no longer present. In this birth he is endowed with a new physiological brain, and while that is so, how is it possible for the present brain to get at the impressions received by another apparatus which is not existence at present? Swami — What do you mean by an adept? Correspondent — One that has developed the hidden powers of his nature. Swami — I cannot understand how the hidden powers can be developed. I know what you mean, but I should always desire that the expressions used are precise and accurate. You may say that the powers hidden are uncovered. It is possible for those that have uncovered the hidden powers of their nature to remember the incidents connected with their past incarnations, for their present brain had its Bija (seed) in the Sukshma man after death. Q. — Does the spirit of Hinduism permit the proselytism of strangers into it? And can a Brâhmin listen to the exposition of philosophy made by a Chandâla? A. — Proselytism is tolerated by Hinduism. Any man, whether he be a Shudra or Chandala, can expound philosophy even to a Brahmin. The truth can be learnt from the lowest individual, no matter to what caste or creed he belongs. Here the Swami quoted Sanskrit verses of high authority in support of his position. The discourse ended, as the time appointed in the programme for his visiting the Temple had already arrived. He accordingly took leave of the gentlemen present and proceeded to visit the Temple.